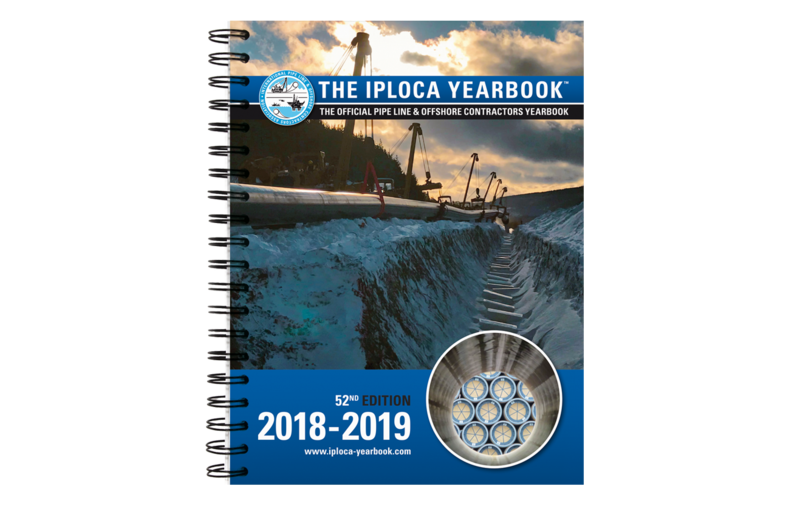 The IPLOCA Yearbook, the official guide for the International Pipe Line & Offshore Contractors Association (IPLOCA) is published in more than 100 countries and lists the Regular Members and Associate Members of IPLOCA. 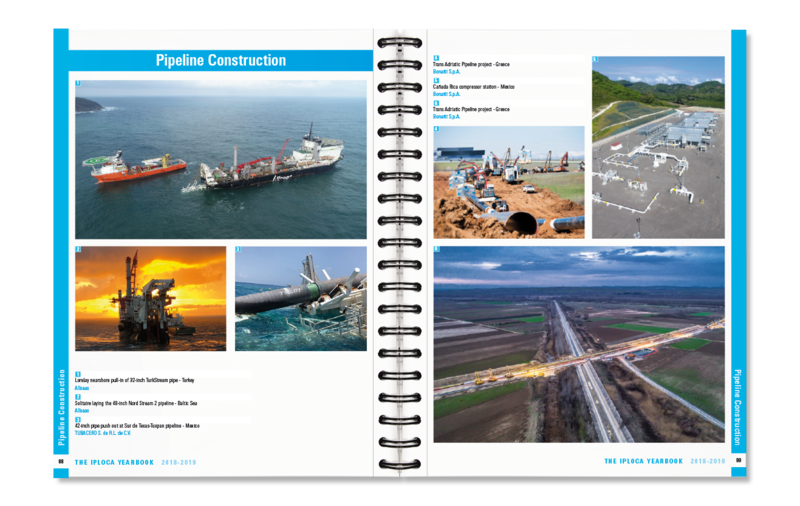 The IPLOCA Yearbook will give you a unique opportunity to promote your Company’s Activities, Products and Services to the Pipeline Industry, both on and Offshore thus providing a wealth of necessary information both for Buyers and Sellers in this Industry. 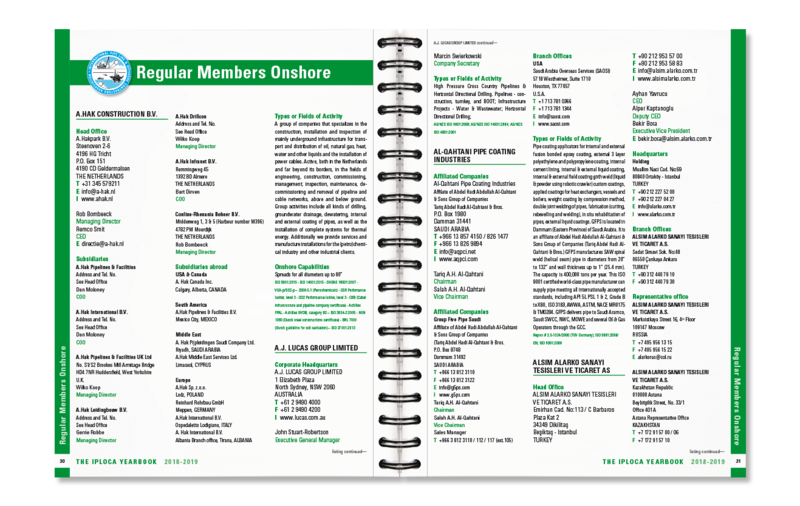 Advertising in the IPLOCA Yearbook is restricted to Members, Associate Members and other organizations affiliated to the IPLOCA Organization. For cost and scheduling of your advertisement next year please consult the Ad Rates section and fill out the Ad Reservation form. Closing date is the 31 September 2019. 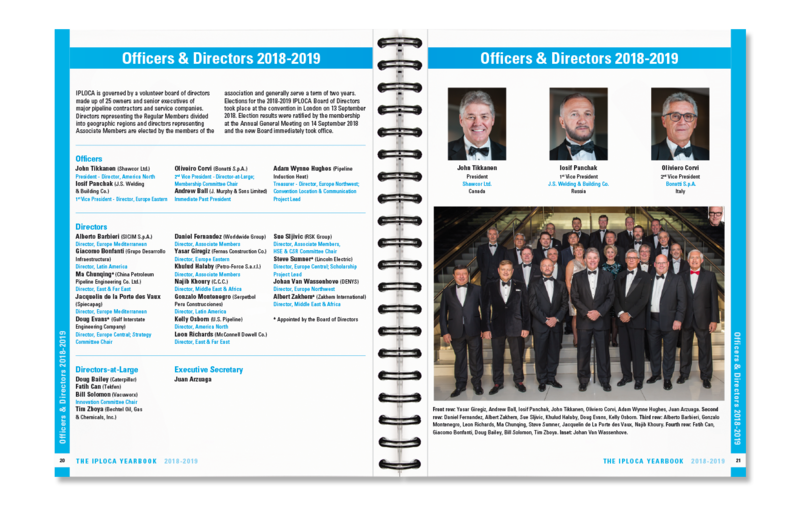 With the experience of Pedemex Publishers, the input of the IPLOCA organisation, your invaluable advertising and our continuous efforts we will be able to contonue to publish this highly regarded Yearbook.